A new study in Annals of Behavioral Medicine finds that couples in ambivalent relationships experience higher blood pressure than their supportive-couple counterparts. Ambivalence means those who have both high levels of positive and negative elements in their relationship, similar to what some would call frenemy relationships. "Sometimes we think of marriage as this 'happily ever after' where everything is bliss and happiness," said BYU psychology professor and lead author of the study Wendy Birmingham, "but the truth is, marriages contain varying levels of positivity and negativity." Birmingham remarked that previous studies about health and marriage look at marriage quality unidimensionally; a marriage is either supportive or it's not. This study takes into consideration realistic relationships that aren't always perfect, but aren't always awful either. To perform the study, participants self-reported on the status of their marriage by answering questions about their spouse's behavior and their own behavior and whether they perceived either as ambivalent. They were then outfitted with a blood pressure monitor to keep on as they went about a normal day. This study chose to observe ambulatory blood pressure (multiple readings throughout a day) instead of clinical blood pressure (one reading at a doctor's office) in order to get a more precise view of the individual's blood pressure across the day. This decision supported Birmingham's goal of studying a realistic relationship situation. "Much of the work on the physiological health benefits of marriage has focused on laboratory paradigms," Birmingham said. "This study allowed us to examine relationship processes as they occur in a naturalistic setting. Clinical blood pressure can give me an idea of what your cardiovascular functioning is like, but it can be subject to all kinds of biases. In our particular study, we randomly collected a blood pressure reading every 30 minutes so we were able to see fluctuations over the day and get a much better picture of their cardiovascular profile." As a result, couples who reported elements of an ambivalent marriage had consistently higher blood pressure than supportive couples throughout the day. 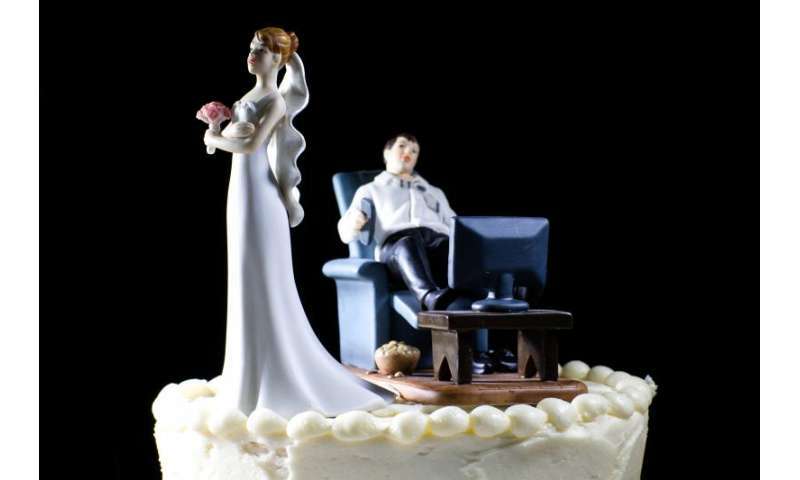 But the consequences of an ambivalent marriage weren't confined to physical health. "For those who were in ambivalent couples, we found that they also reported lower levels of spousal responsiveness and disclosure, self-disclosure and intimacy," Birmingham said. "This is important, as feelings of responsiveness and disclosure from one's significant other allows one to feel validated and cared for. In fact, feeling invalidated is more detrimental to a relationship than feeling validated is beneficial." Ambivalent relationships can be detrimental to physical and emotional health, but there's good news: it doesn't have to be permanent. Couples can change their behavior to be more supportive if they recognize ambivalence in the relationship. They can decide to share more, listen more and support more to regain the benefits of a marriage with high levels of positivity and low levels of negativity. "There are certainly always options to increase the positivity within your marriage, especially things like spousal disclosure," Birmingham said. "If you're seeing these ambivalent feelings and negativity, it's time to improve."